Marc Hochstein is the managing editor of CoinDesk. The views expressed here are his own, so please don’t blame his colleagues. 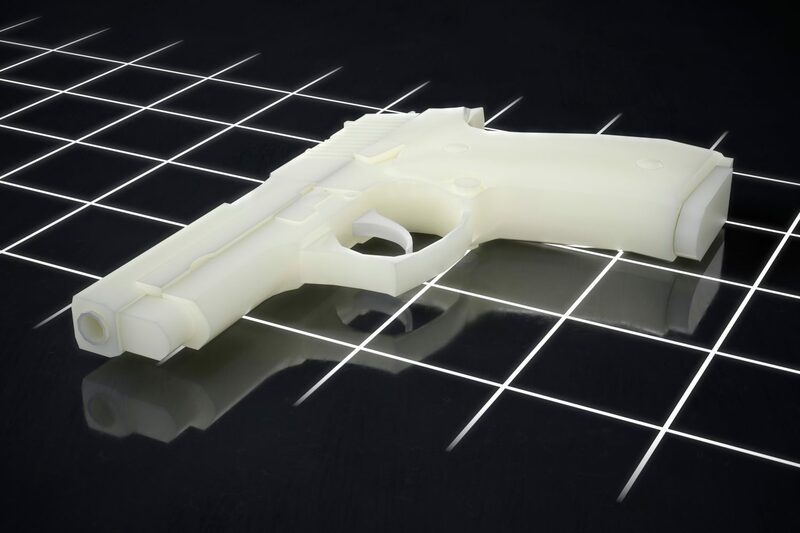 While it may seem only tangentially related to cryptocurrency, the fight in the U.S. over publication of software for 3D-printed firearms bears close watching by the whole blockchain community. The word “publication” should give you a hint why, as the case highlights freedom-of-speech issues that may resurface in future attempts by governments to regulate crypto and distributed networks. More broadly, the groundswell of media hysteria and political grandstanding around this issue is a reminder of the type of resistance any game-changing technology is bound to meet. Stepping back, last week a federal judge issued a temporary restraining order (TRO) against Defense Distributed, a company founded by the provocateur and crypto-anarchist Cody Wilson. The order barred the Austin, Texas-based firm from posting computer-aided design (CAD) files online for weapons that can be manufactured at home with a 3D printer or a computer numerical control (CNC) milling machine. Wilson had recently celebrated victory in a long-running fight with the federal government, which settled with his company and agreed to let it distribute the technical information, throwing in the towel on claims that doing so would violate munitions export rules. This capitulation prompted gasps of outrage from the likes of Senator Chuck Schumer of New York. Shortly thereafter, attorneys general from eight states and the District of Columbia sued to stop the settlement, claiming it violated administrative procedure law and states’ rights under the 10th Amendment to the Constitution. In response to that suit, the judge issued the TRO, which Defense Distributed abided by, refraining from posting the files. However, they are still available all over the internet. Wilson is a familiar figure in the crypto world, in part because of his work on Darkwallet, a privacy-enhancing bitcoin wallet, and also for his campaign to dismantle the Bitcoin Foundation during that organization’s heyday. But the relevance of Defense Distributed’s current struggle to the blockchain world goes deeper than that coincidence. Indeed, beyond the arcane procedural questions in the states’ lawsuit, the fight arguably boils down to whether software is speech. “Both cryptocurrency protocol software and AutoCAD files may be protected speech under the 1st Amendment,” said Peter Van Valkenburgh, the director of research at blockchain industry advocacy group Coin Center in Washington, D.C. However, the free-speech argument for code is not always a slam dunk in court, according to Aaron Wright, an associate clinical professor of law and director of the Blockchain Project at Benjamin N. Cardozo School of Law at Yeshiva University. Legal questions aside, disruptive technologies, both in the world of atoms and in the world of bits, run the risk of attracting a frightened and angry mob. He points out that home manufacture of firearms has long been legal in the U.S. (provided they are not transferred to another person and are not fully plastic), and as mentioned, information about how to build the weapons is already in the public domain. Compounding the silliness of the present controversy, Glidden went on, is the way some have conflated two different technologies Defense Distributed is involved in, thereby overstating the risks. Defense Distributed’s 3D-printed plastic pistol, known as the Liberator, is inexpensive to produce, and potentially undetectable (if the maker ignores the CYA instructions to add a small block of steel) but “largely useless,” less capable than a black powder musket and liable to explode in the user’s hand. Hence the similarity to the FUD you hear from time to time about bitcoin facilitating a terrorist attack. “In either case, there’s a lawful activity, with a hypothetical (but not particularly warranted) possibility for abuse that drives the public to panic,” Glidden said. None of this is to say these technologies are endangered. They are, after all, decentralized, and as observed in the Defense Distributed case, enjoining one actor hasn’t prevented the flow of information. The prohibitionists almost certainly can’t stop innovation or adoption of either blockchains or home manufacturing altogether. But they might slow it down in some places and cause collateral damage. At a minimum, they’re a nuisance. Be on guard.